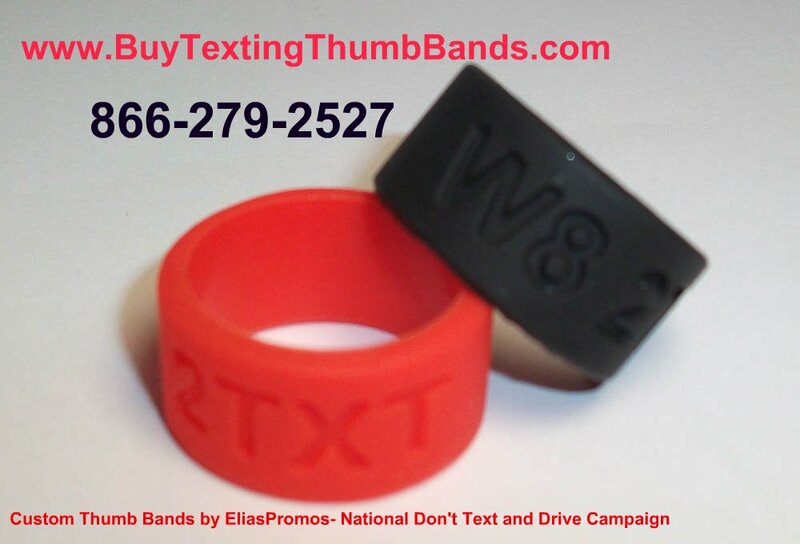 Thumb Bands Texting Kills Available in Pink , Blue or Red in Stock or Custom Colors! Get Involved and Start a Dont Text and Drive Campaign! 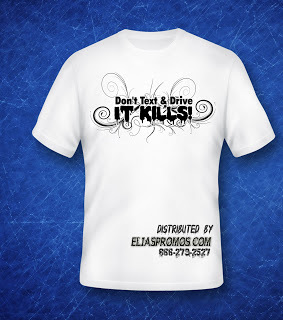 Just CALL 866-279-2527 or info@eliaspromos.com. Free Pledge that we can customize with your School Name, Business Name, Police Dept etc. Custom color match with custom Text- Texting Kills, W8 2TXT , It can Wait!, Text Free Driver or DN'T TXT & DRV, JST DRV are just some ideas for copy. No Set Up Charges! Free Proof ! Thumb Bands In Stock 50 pieces and above order below. With the Safe Texting app smart phones use GPS technology to prevent texting and driving. Thumb Bands Texting Kills Buy 10 and Get 5 Free! Hot Weekly Speical! All Rights Reserved LRH Brand Marketing, LLC. Awesome Inc. theme. Powered by Blogger.